Thanks to our clever, simple app, you know exactly where you stand at all times – balance, fees, the lot. Now you can order and activate a new card, load funds and check your balance anywhere you are in the world. Load. Spend. Top up. Simple. 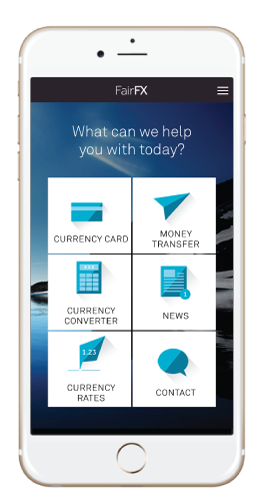 The FairFX App allows you to manage your FairFX card(s) from your phone or tablet allowing you to keep track of what you are spending and your balance wherever you are in the world. The FairFX App is completely FREE of charge. You will be responsible for any additional charges levied by your Network provider. Order new cards and manage your transactions on each card. 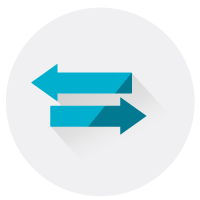 Make International Transfers using our FairPay service. Calculate how much you'll get in your destination currency. View our live foreign exchange rates whilst on the move.